2. 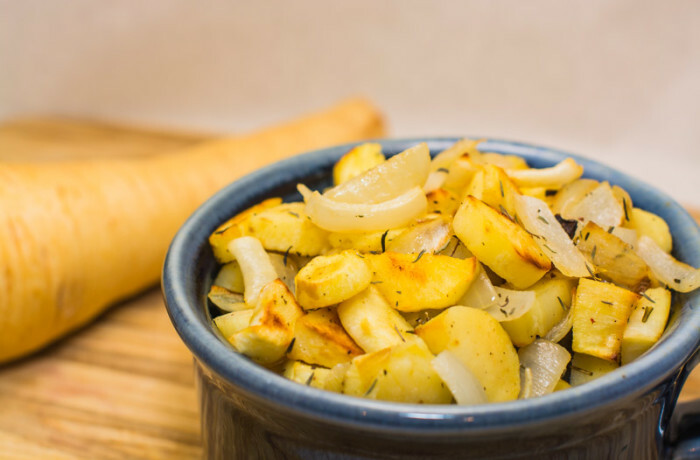 Chop onions and parsnips into 1" pieces, either cubes or slices, depending on your preference. 3. Place all the vegetables in a large mixing bowl. 4. Add olive oil, salt, pepper and thyme. 5. Mix well to coat all the vegetables thoroughly. 6. Line baking sheet or roasting pan with foil. Spray with cooking spray. 7. Spread vegetable mixture on sheet or pan, so that there are a single layer of vegetables. 8. Bake in oven for 25-30 minutes, until the vegetables are tender.